To put an end to widespread speculation about the sudden and mysterious death of his 36-year old son Sage, Sylvester Stallone has hired famous Private Investigator, Scott Ross to conduct an in-depth probe. TMZ released a statement from Stallone Sr. appealing to fans and sympathizers, imploring them to respect the memory of his son and show more compassion to Sasha, his doting mother. He further added that their irreparable loss will stay with them for the rest of their lives. 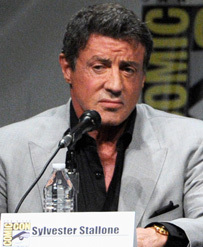 Stallone Sr. reiterated his firm resolve to get to the bottom of this saddest chapter in his life, and more so, to quell the constant rumors in circulation which are only adding to his grief. His main objective of hiring a sleuth is to determine the precise cause of his son’s death, as well as his movements in the period immediately preceding his demise. Sage Stallone’s sudden death at his home is shrouded in mystery, given that he displayed no signs of depression, as reports suggest.